t can be difficult to remember that your garage door needs proper maintenance every once in a while. This prevents even more serious issues from happening down the line that can stem from small problems. And since you use your garage door every day, if not multiple times every day, keeping it running smoothly is more important than you might think. When the door of your garage is messed up or is on its way to messing up, there is usually some visual cues or noises that will let you know. Your garage motor might be louder, the door may sound more “gritty” when it opens or closes, the door itself may be moving slower or jerkier than normal, etc. Paying attention to small things like this every time you use the door, is vital to preventing large problems that stem from the small ones. Anything with an abundance of moving parts (like a garage motor!) can benefit from being lubricated, oiled, or greased quite frequently. 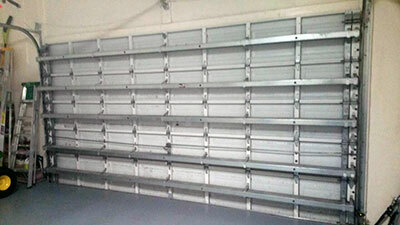 The door of your garage won't need it too often, but could use it every six months or so. This simple tip could possibly add years to the life of your door. Some white lithium grease should do the trick on your chain (or whatever your garage uses), while the springs or cables could benefit from some garage-specific lube or even universal lube. Your rollers are as important of a part as any. They may not seem as sophisticated, but without them, your garage wouldn't move at all. With that being said, it's important that they stay in good shape and continue to function well. Check your rollers every six months or so to make sure they aren't cracked, are rolling smoothly, and are all there. This can prevent many problems down the road. When the door of your garage is imbalanced, it can make your motor work harder in order to get the door up. To check this, pull the red handle on your garage door (the release handle), and pull it up to about halfway. What should happen is it stays in place. If it doesn't stay in place, that means your door is not properly balanced. This is another one of those jobs for the professionals, as you have to deal with powerful and dangerous springs. There you have it. Easy tips that almost anyone can use to keep their door up and maintained. Make sure to do these, and your garage door will last to its fullest potential!